Resume: In the eyes of many, the possession of the nuclear bomb is a symbol of special military-political might and of belonging to a select group. The experience of the difficult negotiations with Ukraine, in the course of which Kiev was persuaded—in the long last—to give up the nuclear arsenal it had inherited from the U.S.S.R., can be of use to those who now have to address similar problems with other countries. The crisis of the nuclear nonproliferation regime, developing in the face of the growing threat of international terrorism and the desire of some countries to obtain the most deadly of weapons, motivates the international community to find new ways to counteract these developments. In the early 1990s, the author of this article participated in negotiations for the nuclear disarmament of Ukraine, a former Soviet republic which received its full independence in 1991. The ‘nuclear disarmament’ of Kiev, whose nuclear arsenals exceeded those of Britain, France and China combined, took more than two years of negotiations. The following details reminiscences about those negotiations. I hope our experience will be of use to those who must address similar problems with other countries, in a totally changed global situation. On July 31, 1991, shortly before the collapse of the Soviet Union, the Soviet Union and the United States signed the Treaty on the Reduction and Limitation of Strategic Offensive Arms (START-1), the first treaty of its kind in history. However, before it was ratified, the Soviet Union broke up, and there emerged four new states armed with nuclear weapons—Belarus, Kazakhstan, Russia (as the successor to the Soviet Union, it inherited the right to nuclear status) and Ukraine. As a result, the entire project of strategic offensive arms reduction stalled. The START-2 agreement, signed by Russia and the U.S. in early 1993, became a hostage of the START-1 ratification. Meanwhile, the signatories to the Treaty on the Nonproliferation of Nuclear Weapons (NPT) planned to hold a conference in the spring of 1995 to discuss the treaty’s extension, and the newly independent countries were expected to join. Belarus and Kazakhstan made no public claims to nuclear status, and nobody expected any surprise moves from Ukraine, either. The Declaration of State Sovereignty, adopted by the Supreme Soviet (parliament) of the Ukrainian Soviet Socialist Republic on July 16, 1990, proclaimed Ukraine’s intention to “become in the future a permanently neutral state that will not participate in military blocs and that will abide by three non.nuclear principles: no entry, no production, and no possession of nuclear weapons.” The non-nuclear status was reiterated by the Ukrainian parliament after Ukraine became independent. On December 30, 1991, the leaders of the Commonwealth of Independent States, established by former Soviet republics, met in Minsk, Belarus, where they agreed that “a decision to employ nuclear weapons shall be made by the President of the Russian Federation by agreement with the leaders of the Republic of Belarus, the Republic of Kazakhstan and Ukraine, and upon consultations with the leaders of the other member states of the Commonwealth.” The CIS leaders also agreed that until the elimination of the nuclear weapons deployed in Ukraine was completed, these weapons must be placed under the control of the Strategic Forces joint command in order to ensure their non.employment and disassembly. The deadline for the disassembly was set for the end of 1994, while the deadline for tactical nuclear weapons was July 1, 1992. On April 18, 1992, the presidents of Russia and Ukraine signed an agreement that stipulated procedures for removing nuclear munitions from the territory of Ukraine to sites in Russia for their further disassembly and elimination. In May, all tactical nuclear weapons were removed from the Ukrainian territory. The Lisbon Protocol also provided for the START Treaty’s ratification, together with the Protocol, by all the five signatories. Russia, Ukraine, Kazakhstan and Belarus were to exchange instruments of ratification with the U.S., and the treaty was to enter into force on the day of the last exchange of these instruments. Ukraine, Kazakhstan and Belarus were also compelled to join the NPT. Belarus ratified the START Treaty on February 4, 1993, and joined the NPT on August 22. Kazakhstan ratified START on July 2, 1992, and joined the NPT on February 14, 1994. On October 1, 1992, the U.S. Senate gave the green light to the ratification of START, stating that Kravchuk’s May 7 letter to Bush was as valid as the provisions of START. On November 4, 1992, the treaty was ratified by the Supreme Soviet of the Russian Federation. Meanwhile, there appeared alarming tendencies in Ukraine’s position. Shortly after the country became independent, it began to revise the principles of its foreign policy and its attitude to nuclear weapons. At first, Kiev dissociated itself from all agreements concluded within the CIS framework, as well as those pertaining to the common military strategic space. None of the military units stationed in Ukraine and armed with strategic nuclear weapons were included in the CIS Strategic Forces. Moreover, in April 1992, Ukraine absorbed the Strategic Forces units that were stationed on its territory into the Ukrainian army. It should be noted that operational maintenance of nuclear munitions is a complex of sophisticated operations. Emergency operational maintenance of nuclear munitions must be performed at the manufacturer’s site. Formerly, the maintenance of munitions was controlled from one center, which was at one of the main directorates of the Defense Ministry of the Soviet Union, and later Russia. However, once the Strategic Forces stationed on its territory were under Ukrainian control, this threw the nuclear munitions maintenance into confusion. The criteria for access to the nuclear munitions became increasingly vague. The nuclear issue was the highlight of the Russian and Ukrainian presidents’ meeting in Moscow on January 15, 1993. President Boris Yeltsin said Russia was ready to give Kiev security guarantees before Ukraine ratified START-1 and joined the NPT. Those guarantees would enter into force after Ukraine became a party to the two treaties. The presidents instructed their governments to immediately enter into negotiations in order to resolve the many difficult issues pertaining to the implementation of START-1. These would include the terms for the disassembly, transportation and elimination of nuclear munitions deployed in Ukraine, and the recycling of nuclear components for use as fuel at Ukrainian nuclear power plants. 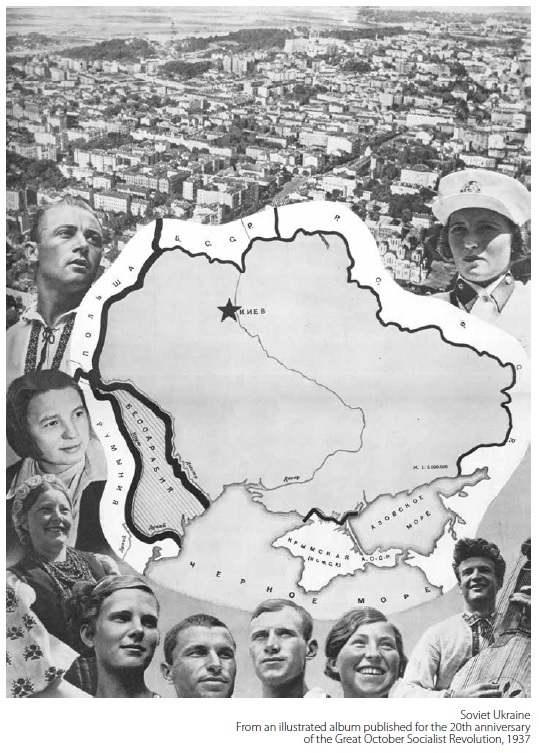 I was instructed to head the Russian delegation, and the Ukrainian delegation was led by Yuri Kostenko, the minister of the environment and the leader of the Ukrainian Supreme Soviet’s special working group set up to prepare START ratification. Before we met, Kostenko, who was also one of the leaders of the nationalist Rukh party, had said that the negotiations could continue for another 20 or 30 years. But it was obvious to both of us that the nuclear issue, so vital for strategic stability, needed to be resolved within the shortest possible period of time. Ukraine would receive fuel for its nuclear power plants as compensation in the amount equivalent to the amount of fission.able materials extracted from the nuclear munitions removed from its territory. Ukraine’s statement that it was the owner of nuclear weapons located on its territory was, in fact, a claim to being a nuclear power. In a reply statement, I responded that this statement meant a change in Ukraine’s position on nuclear weapons. It signaled a retreat from the commitments assumed by Ukraine in its official acts and in the international documents signed by it within the CIS framework and in Lisbon. Naturally, it was up to Ukraine, as a sovereign and independent state, to decide what policy it should pursue. But Russia, as a nuclear state and a signatory to the NPT, must fulfill its commitments ensuing from the treaty. Namely, it has no right to transfer nuclear weapons or control over them (be it direct or indirect), nor shall it assist or encourage any non-nuclear state in producing or obtaining nuclear weapons in any way. Ukraine had proclaimed itself a non-nuclear state and Russia could not become involved in the change of this status. As for the choice of a site for the disassembly and disposal of nuclear munitions, this issue had been resolved in an agreement on the elimination of tactical weapons, signed by the presidents of the two countries. Therefore, on this issue, the Ukrainian government was revising its obligations as well. At this point, it was necessary for me to focus on Russia’s positive proposals. In particular, Russia expressed its readiness to sup.ply Ukraine with fuel elements for its nuclear power plants, as compensation for eliminated nuclear weapons, in amounts corresponding to the value of fissionable materials that would be extracted from the nuclear munitions removed from Ukraine, minus Russia’s expenditures for the munitions’ disposal. Russia was also ready to immediately introduce procedures for ensuring the ecological safety of the nuclear munitions on the Ukrainian territory until all of them were removed. The Ukrainian negotiators obviously felt uncomfortable about making a decision. They asked us not to make public their statement, yet they did not retreat from it. We were hard-pressed to figure out why Ukraine proclaimed that it possessed nuclear weapons: was this an attempt to receive the status of a nuclear state, or a tactical move aimed at reaping the maximum benefits for the liquidation of the weapons? We divided the negotiating parties into several working groups. One, set up to address issues within the jurisdiction of the defense ministries, was to work out a schedule for removing the nuclear weapons from Ukraine. Another, made of nuclear engineering experts, was to establish the size of compensation for Ukraine. The third group, which was comprised of defense industry experts, was to draft an agreement for the developer’s product support of strategic missile systems in service with the Strategic Forces. In the Soviet Union, missiles were made both in Russia and Ukraine. After the Soviet Union broke up, some of the Ukrainian-made missiles remained in Russia, while Russian-made missiles remained in Ukraine. Like nuclear munitions, the missiles could be adequately maintained only by experts from the plants where they had been produced. The Ukrainian military delegation was led by Deputy Defense Minister Ivan Bizhan. The Russian delegation presented in writ.ing its proposals concerning the schedule for removing nuclear munitions from Ukraine. Our Ukrainian counterparts were not enthusiastic with the proposals, but they had no alternative pro.posals of their own. Instead, they made ambiguous statements, from which it was not clear whether Kiev was going to fulfill its commitment to eliminate their nuclear weapons. I read the aforementioned May 7 statement of President Kravchuk to George Bush. But the shorter the question the longer the answer. In the morning, however, there was no Ukrainian letter, and Yuri Kostenko said that it would take Ukraine at least several days to produce one. Things were proceeding differently with the group of nuclear engineering experts. The Ukrainian experts frankly stated that they were afraid of miscalculating: they did not have enough data in Kiev to calculate all of the possible variants for compensation in order to select the best option. This was understandable. Russia’s First Deputy Minister for Atomic Energy, Vitaly Konovalov, answered all their questions, yet the Ukrainians requested more and more details. In the third group, the missile experts had quickly drafted an agreement on procedures for the developer’s product support of the strategic missile systems in service with the Strategic Forces, deployed both in Russia and Ukraine. We agreed to submit the draft agreement to the leaders of both countries, together with a proposal that the agreement be signed by the heads of government without delay and without any linkage to the other issues. We handed over to the Ukrainian delegation our draft agreement on the servicing of nuclear munitions, which was very simple: Russia would continue to bear responsibility for operational maintenance of nuclear munitions, while Ukraine would provide Russian specialists with the necessary conditions for meeting this end, while ensuring the appropriate security for the facilities and their operation. The Ukrainian delegation responded with their own draft, in which Russia was expected to recognize Ukraine’s right to own nuclear weapons. After discussions at a plenary meeting, the Ukrainian delegation withdrew its draft but declined to accept Russia’s proposal, saying they needed more time for consideration. The escalation of Kiev’s nuclear ambitions grew increasingly evident. Yuri Kostenko was so obviously carried away by the domes.tic aspects of this crucial problem that its international importance escaped his attention. He believed Ukraine was so strong that it was ready to confront any country. “The Americans tried to exert pressure on us, but we put them in their place,” he told me. The Ukrainian delegation asked us to be restrained in our pub.lic comments on the negotiations. However, on February 11, Russia’s Nezavisimaya Gazeta carried a belligerent interview with Ukraine’s Deputy Foreign Minister Boris Tarasyuk, in which Russia’s position was distorted beyond recognition. Moscow had no choice but to respond. On February 16, as had been agreed, Ukrainian nuclear engineering experts arrived in Moscow. Under the arrangements made at Irpen, we turned over to them all the documents on the nuclear munitions and components of missile systems in service with the Strategic Nuclear Forces stationed in Ukraine, and on the recycling of nuclear components. The Ukrainian experts said they needed time to study the documents in Kiev. On February 24, the working group of military experts had a meeting in Moscow. We expected the Ukrainian delegation to produce a written statement concerning Ukraine’s position on the elimination of strategic offensive armaments deployed on its territory, as well as a timeframe for such a move. However, our visitors declined to even discuss these issues. I immediately tele.phoned Kostenko. Furthermore, Kiev refused to sign the agreement on producer’s warranty and servicing of missile systems, which we had already reached at Irpen. reduce the alert status of the nuclear warheads on longer.range cruise missiles carried by heavy bombers and remove them to secure sites in Russia before August 1, 1993, for their subsequent elimination. As a result, we achieved only one specific result: we once again agreed to sign a document on the servicing of missile systems. We submitted this agreement for approval by the heads of government. On March 10, Ukraine’s Supreme Soviet held the first public hearings of the special working group led by Yuri Kostenko. He said that “there is no more serious political group in Ukraine that would absolutely support ratification of the START-1 Treaty or accession to the NPT.” It was said at the hearings with regard to the nuclear weapons problem that the Declaration of the State Sovereignty of Ukraine was not a commitment but only a statement of “future” intentions. Also, as a condition for ratifying START-1, Ukraine demanded guarantees that it would receive all the rights of an international legal entity and an actor in international relations as a nuclear state. In late August, the Supreme Soviet of Ukraine in a closed-door session discussed proposals for a military doctrine. The Ukrainian government, in a bid to win parliamentary approval for its own draft, proposed keeping 46 of the most advanced SS.24 nuclear missiles in service with the Ukrainian armed forces. The parliament did not support the governmental proposal, but Ukraine’s resistance to the elimination of all its nuclear weapons now came from the highest state levels. Then came a statement from 162 Supreme Soviet deputies (more than 30 percent of the MPs), which bluntly referred to Ukraine as a nuclear state. The deputies who signed the statement included my vis-á-vis in the negotiations. We never received an invitation from Kiev to continue the negotiations. We tried to raise the nuclear issue at meetings between Russian Prime Minister Victor Chernomyrdin and his Ukrainian counterpart Leonid Kuchma in June-July 1993. I was accompanying Chernomyrdin and kept all the papers relating to the nuclear issue at hand. At the appropriate moment, the prime minister raised the nuclear weapons issue and then invited me to report on outstanding problems. The Ukrainians listened to me but evaded serious discussions. On July 3, the Ukrainian Defense Ministry attached the nuclear arsenals located in Ukraine to its 43rd Missile Army. The army commander was ordered to ensure that the personnel of the nuclear weapon technical operation units take the Ukrainian oath. In May 1992, the Ukrainian oath had been taken by the personnel of two nuclear weapons technical operation units of the 46th Air Army, which had over 600 strategic nuclear munitions. The move had given Ukraine control over the munitions, as well as their use. Furthermore, the flight personnel of the strategic bombers had taken the Ukrainian oath, too. This factor, as the chief of the Russian Armed Forces’ General Staff Mikhail Kolesnikov noted, provided Ukraine with a capability to use nuclear weapons. In early August, at a meeting in Moscow between Chernomyrdin and Kuchma, the Russian prime minister con.vinced his Ukrainian counterpart to receive me in Kiev for continuing the negotiations. In my trip to the Ukrainian capital, I was accompanied by Atomic Energy Minister Victor Mikhailov. By the end of the second day of the negotiations, we had resolved all the issues on our agenda, except for the timeframe for removing nuclear weapons from Ukraine. We reached agreement on the elimination of all the nuclear munitions located in Ukraine, on their disposal in Russia, and on procedures for the settlement of the operations. By way of compensation, Ukraine would receive fuel assemblies for its nuclear power plants. Russia’s expenditures for its supplies were to be compensated for with sales from part of the uranium to be extracted from the nuclear munitions removed from Ukraine. Ukraine’s right to own the nuclear weapons was no longer mentioned. an agreement on procedures for the developer’s product sup.port of the operation of strategic missile systems in service with the Strategic Forces stationed on the territories of Russia and Ukraine. U.S. was represented by Deputy Secretary of State Strobe Talbott. U.S. experts saw that the draft agreements were solid and did not need any additions or specifications, they congratulated us and said with a smile that there was nothing further to discuss. This was the reason, perhaps, for Talbott’s disappointment. On September 3, the Russian and Ukrainian presidents met at Massandra, in the Crimea, where they quickly approved all three draft agreements which prime ministers Chernomyrdin and Kuchma were to sign, as well as the only remaining outstanding issue—the timeframe for the removal of strategic nuclear weapons from the territory of Ukraine. The parties agreed that the weapons would be removed within 24 months after Ukraine ratified START-1. Naturally, all the weapons were to be removed, as was written in the draft agreements. This issue was of crucial impor.tance, so the parties decided to formalize the latter agreement in a special confidential protocol. The moment of truth was quickly approaching. Perhaps, that was why bitter disagreements broke out in Ukraine over the nuclear weapons issue. Defense Minister Konstantin Morozov at a plenary meeting launched an attack against his own president by criticizing the agreements that had been reached. Ukrainian President Kravchuk did not agree with him, and the Ukrainian party that was preparing the final texts of the documents, including the presidential team, made every effort to distort the essence of Morozov’s arguments. The diplomatic showdown reached the intensity of hand-to-hand combat. But the Ukrainian delegation failed to change anything in any of the three draft agreements. The protocol on the removal of all nuclear munitions was brief and well-worded, too. Strictly speaking, there was nothing else to negotiate. “However, Ukraine’s presidential adviser A. Buteiko took advantage of the situation when the documents fell into his hands; he made two alterations to the text, which completely changed the content of the arrangement. The changes are clearly seen in the photocopy published in Kiev: the word ‘all’ was crossed out and after the words ‘the Strategic Nuclear Forces’ the words ‘falling under the treaty’ were inserted. What these corrections meant was that Ukraine (or rather a certain part of the governmental apparatus), contrary to its international commitments, hoped to reserve a part of the nuclear weapons. “Despite a top-level protest from the Russian Party, the representatives of Ukraine declined to restore the former text. In view of such actions by the Ukrainian Party which are, to put it mildly, unusual for diplomatic practices, the Russian Party officially annulled this Protocol, about which the representatives of Ukraine were immediately informed. Indeed, the Supreme Soviet came out with a series of provisos. Among others, it proclaimed Ukraine’s state ownership of nuclear weapons; turned down Article 5 of the Lisbon Protocol, which contained Ukraine’s commitment to join the NPT; declared Ukraine’s plans not to eliminate all of their nuclear weapons that remained on the Ukrainian territory, but only 36 percent of the launch vehicles and 42 percent of the nuclear munitions, leaving the rest of the nuclear-missile arsenal to Ukraine. International law cannot recognize the ratification of a treaty if its provisos are incompatible with its subject and terms. Ukraine formulated a new document which was convenient for certain political forces in Kiev and which had nothing in common with the START-1 Treaty. In view of this fact, the government of Russia declared that the decision of the Supreme Soviet of Ukraine with regard to START-1 could not be recognized. A similar statement was released by Washington. Despite the unfavorable developments in Kiev, Russia continued to press Ukraine to make decisions that would meet the interests of the international community. On January 14, 1994, tripartite agreements with the presidents of Russia, the U.S. and Ukraine were signed in Moscow. A supplementary document stated Ukraine’s key commitments to completely fulfill its obligations with regard to all the nuclear weapons remaining on the Ukrainian territory, and terms for the supply of fuel assemblies for Ukrainian nuclear power plants as compensation. Security guarantees were granted to Ukraine by Russia and the U.S. once the START-1 Treaty entered into force and as soon as Ukraine became a non.nuclear signatory to the NPT. The United States offered to give Russia U.S. $60 million as prepayment to cover Russia’s expenditures for the disassembly of strategic munitions and the manufac.ture of fuel assemblies. The money was to be deducted from payments due to Russia under a Russian-U.S. contract on highly enriched uranium. The Ukrainian Supreme Soviet discussed the tripartite agreements on February 4, 1994. In the resolution, it withdrew its reservations concerning Article 5 of the Lisbon Protocol, thus opening up the possibility of Ukraine joining the NPT. The government was instructed to exchange instruments of START ratification and increase its efforts to conclude interstate agreements aimed at fulfilling the Supreme Soviet’s November 18, 1993 resolution. On May 10, 1994, the prime ministers of Russia and Ukraine signed an agreement for the implementation of the tri.partite arrangements reached by the presidents of Russia, the U.S. and Ukraine. After a series of elections in Ukraine, the process of the START ratification and accession to the NPT had to be completed by the new Ukrainian president, Leonid Kuchma. On November 16, 1994, the Supreme Soviet passed a law on Ukraine’s accession to the NPT. However, the law once again contained several reservations, one of which stated: “Ukraine is the owner of the nuclear weapons which it has inherited from the ex-U.S.S.R.” The restoration of the long-withdrawn claim again brought back to the agenda the issue of Ukraine’s status as an NPT signatory: non-nuclear, as it was bound by its international commitments, or as a new nuclear state. The position of Ukraine’s top legislative body was quite clear, however: being the owner of nuclear weapons meant being a nuclear state. Kiev trumpeted its victory, emphasizing the effort the country’s leadership had made in order to overcome the resistance of deputies who opposed Ukraine’s accession to the NPT. Kuchma made a passionate speech, saying that it would take at least U.S. $160-200 billion in investment within ten years to launch the closed-cycle production of nuclear munitions. “Who amongst the advocates of nuclear games can stand up and tell us to whom we should sell or pawn all of Ukraine’s property, just to obtain a nuclear arsenal for ourselves and make ‘happy’?” he asked. Yet, the fact that only a few deputies voted against the law on accession to the NPT indicated that the reservations it contained were so far-reaching that they satisfied even the advocates of a nuclear status for Ukraine. Indeed, what more could the champions of “nuclear games” demand when the law declared that Ukraine was joining the NPT as an owner of nuclear weapons? Recognition by the international community of Ukraine’s acces.sion to the treaty on such terms would mean recognition of its nuclear status. That would be their victory. On the following day, November 17, Russia’s Foreign Ministry came out with the following statement: “Moscow appreciates the Ukrainian leadership’s efforts to resolve the issue of Ukraine’s accession to the Nonproliferation Treaty of July 1, 1968. In this connection, we were satisfied to hear the news that the Supreme Soviet of Ukraine yesterday passed a law on accession to this Treaty. Kiev’s reaction to the questions put by Moscow was keenly sensitive. However, answers to these questions were demanded not only by Russia but the entire international community. The tensions came to a head at the CSCE summit in Budapest, where Ukraine was to provide the instruments of accession to the NPT, and Russia, the U.S., Britain and Ukraine were to sign a memorandum on security guarantees for Kiev. Ukraine was in a dilemma whether to officially specify its status of a state not possessing nuclear weapons, thus receiving security guarantees, or decline and send the entire range of issues back to the negotiating table. Between March 1994 and June 1996, about 2,000 nuclear munitions of strategic weapon systems were removed from Ukraine to Russia for disassembly. In all, considering tactical weapons, about 5,000 nuclear munitions were moved to Russia in almost 100 trains. The START-1 Treaty and the Lisbon Protocol were completely fulfilled. The epic about Ukraine’s renunciation of nuclear status can take a worthy place in the history of diplomacy and serve as an instructive lesson.